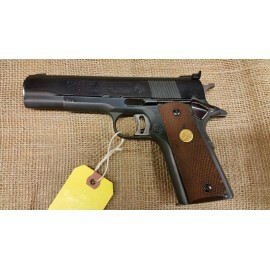 Colt 1911A1 Mark IV Series 70 Gold Cup National Match 45cal. 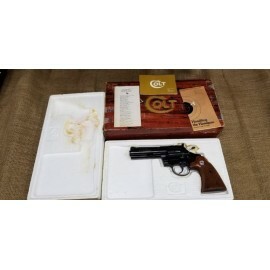 Colt 1911A1 Mark IV Series 70 Gold Cup National Match 45caliber No box or papers ..
Colt 1911A1 Mark IV Series 70 Gold Cup National Match ​No box, shows wear and usage 45caliber ..
Colt 1911A1 Mark IV Series 70 Government Model 45cal. 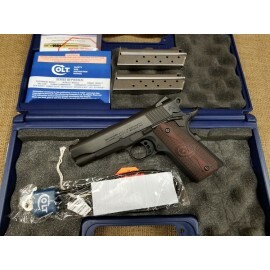 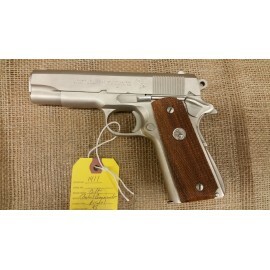 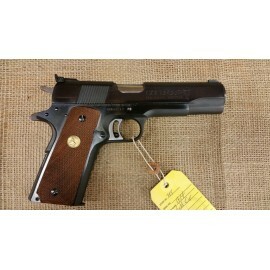 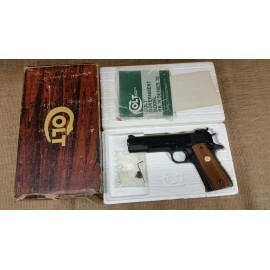 Colt 1911A1 Mark IV Series 70 Government Model in 45cal. 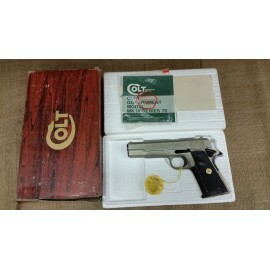 Original Box with papers ​Blue finish ​5 inch barrel ​Sights have been replaced but original sights are in the box ..
Colt 1911A1 Series 70 in Satin Nickel 45cal. 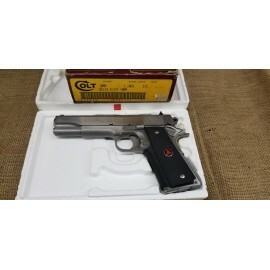 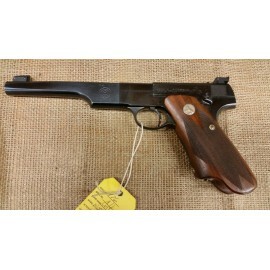 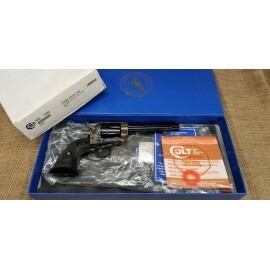 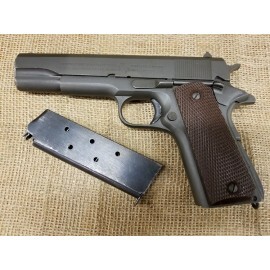 Only made for two years Satin nickel with black controls includes factory box, foam 2 piece with paper sleeve ends are fragile, box is numbered to gun satin nickel showing standard darkening from age Pachmayr Colt grips correct Colt 45 auto m..
Colt 1911A1 US Property marked 1944 mfg date. 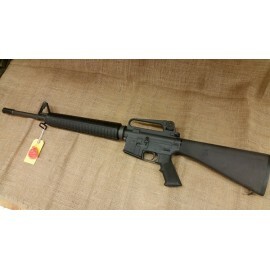 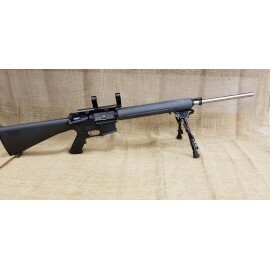 Went through a rebuild at Springfield Armory and refinished ​Nice shooter ..
Colt CAR-15A3 HBAR ELITE rifle 24" stainless barrel marked MP 5.56 NATO1/9 HBAR ELITE Factory alloy tube front handguard A2 grip and stock B square alloy 1" scope mount marked COLT on one side (factory) BK0039xx serial range, marked cal 223 on receiver (556 on barrel) Colt BCG Speed hammer, m..
Colt Combat Commander 45acp Satin Nickel Satin nickel, usual finish splotches correct 45acp magazine all factory correct, no box checkered grips with gold medallions one magazine included great bore ..
Colt Delta Elite 10mm Stainless One magazine Original box, no papers Used 5 inch barrel Rubber grips ..
Colt Diamondback 22lr 4" barrel w\ Box Blued 4" gun, factory wood grips likely has been fired, but if so, not much, see pics proper vintage Colt styrofoam insert box box has wear and tape box numbers to gun ..
Colt Lightweight Commander 9mm Luger Novak sights Original box and papers Two magazines ..
Colt Officers Model 38 dated to 1950 Late 2nd Model 7-1/2" barrel flat top with adjustable rear sight and bead adjustable front blue in overall good condition for age,, usual wear on edges blued trigger, polished side hammer, nice wood checkered grips very good action bore is bright and in go..
Colt SAA Revolver 45cal 5.5 inch barrel 4th generation in original plastic blue box New, unfired ..
Colt SAA Revolver New in the Box 45cal. 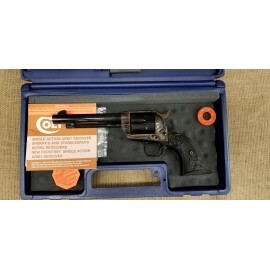 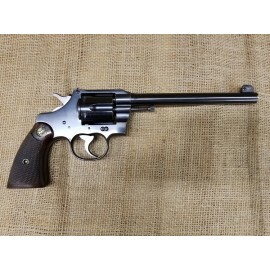 5 1/2 inch barrel Third Generation Still has the factory grease on it, we did not clean it ..
Colt Sporter Match HBAR .223caliber ​Block in rear of receiver ..
Colt Woodsman Match Target 1st Generation ​Original Elephant Ear Grips and magazine Serial number MT10412 22lr Truly beautiful example of an early match pistol ..